P. marneffei provides a novel and highly amenable system with which to address important aspects of fungal dimorphism and pathogenicity. 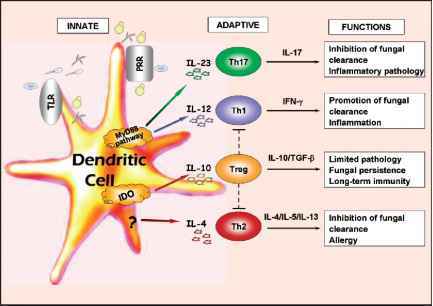 P. marneffei is a thermally dimorphic human pathogenic fungus. The pathogenic form, expressed at 37°C, is an oval-shaped unicellular yeast, which divides by fission (Figure 9.2). As a saprophyte at 25°C, P. marneffei is filamentous in form and is morphologically similar to other Penicillium species (Andrianopoulos, 2002). Unlike some of the other pathogenic fungi, the growth form of P. marneffei is simple and easily controlled (Garrison & Boyd, 1973; McGinnis, 1994). In addition, the fact that morphologically extensive programmes for asexual development (conidiation) and dimorphic switching coexist in P. marneffei makes it an excellent system in which to study the relationship between these two developmental programmes. 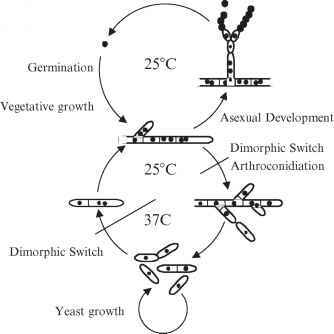 The life cycle of P. marneffei can be divided into three stages: vegetative hyphal growth at 25°C, asexual development at 25°C, and yeast growth at 37°C (Figure 9.3). A conidium under the appropriate nutritional conditions germinates, initially expanding by isotropic growth until it reaches a certain size and then switching to polarized growth to produce a germ tube. This germ tube continues elongating by polarized growth at the apical tip. 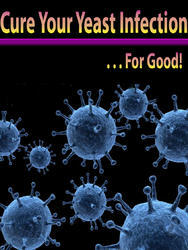 Cellular compartments are established behind the tip by septation. When grown in vitro, these first steps are common to both 25°C and 37°C. At 25°C, actively growing cellular compartments contain multiple nuclei, showing that nuclear and cellular division are uncoupled, while older subapical cells are usually uninucleate. Unlike the apical cells, subapical cells are capable of repolarizing to produce branches that continue growing by polarized elongation. When P. marneffei is grown at 37°C in vitro, morphogenesis starts 48 h after germination with the onset of extensive hyphal branching and the coupling of nuclear and cellular division and gives rise to highly branched uninucleate hyphae. The cellular compartments of these branched hyphae are separated by double septa. Eventually the material between the double septa is degraded allowing for the complete separation of cells. These cells are called arthroconidia and the process is known as arthroconidiation. Arthroconidia grow apically and divide by fission to produce yeast cells, with a similar morphology to those of Schizosaccharomyces pombe. These yeast cells also divide by fission as long as the temperature remains at 37°C. Some strains of P. marneffei produce mixtures of yeast cells and arthroconidiating hyphae depending on the growth conditions. When hyphal cells growing at 25°C are switched to 37°C, they also undergo arthroconidiation. The hyphal to yeast dimorphic transition process is reversible such that decreasing the temperature from 37°C to 25°C leads to yeast cells becoming highly polarized to form hyphal cells and the uncoupling of nuclear and cellular division. The morphology of P. marneffei yeast cells grown in vitro differs from that found in clinical specimens or when P. marneffei is growing inside macrophages in culture. In this case the yeast cells are substantially shorter in length and oval in shape. The search for in vitro culture conditions which can mimic the growth form evident in the host found that medium composed of 1% peptone produced the most morphologically similar yeast cells and these were produced directly from conidia without a hyphal intermediate stage (Tongchusak et al., 2004). What was also noted was that the growth rate on 1% peptone was significantly slower than on most other laboratory media. In addition to dimorphic switching, P. marneffei is also capable of undergoing asexual development. Hyphal cells growing at 25°C require particular environmental cues to initiate this developmental programme. These conditions include light and an air interphase such as the growth on solid media. The programme starts after hyphal growth is fully established by the production of a multinucleate aerial stalk cell that grow away from the mycelium. In P. marneffei, the stalk cells are multinucleate, septate, and often branch to produce secondary stalk cells called rama. At the tip of the stalk cells, two sequential rounds of budding in which nuclear and cellular division are coupled, produces the two layers of sterigmata cells (metulae and phialides). Each stalk cell gives rise to 3-5 metulae and each metula produces 3-5 phialides by an acropetal mode of division. Phialides produce chains of asexual spores (conidia) by budding in a basipetal mode of division, such that the younger conidia displace the older ones, thereby forming a column of these cells. Mature conidia are pigmented with a pale grey-green colour (Andrianopoulos, 2002).